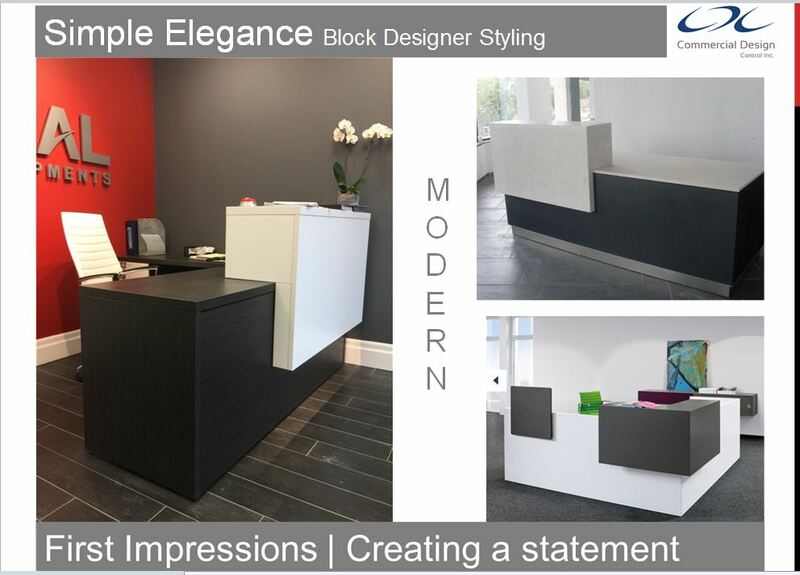 Commercial Design Control Inc. develops new receptions brochure. 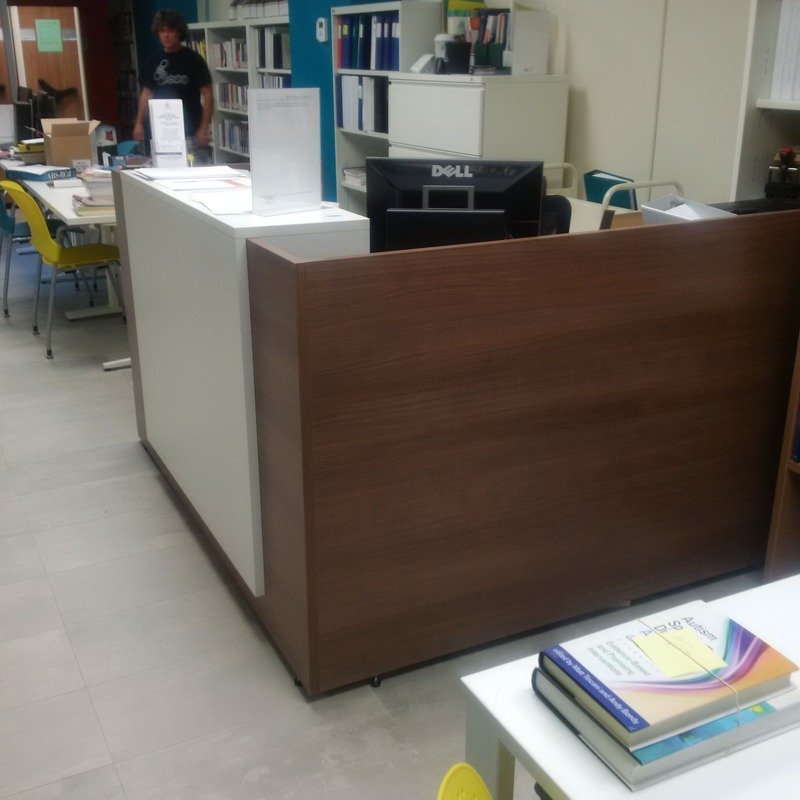 We believe that reception units don’t have to be super expensive to look good! Its all about the design. We get a lot of calls on reception units. 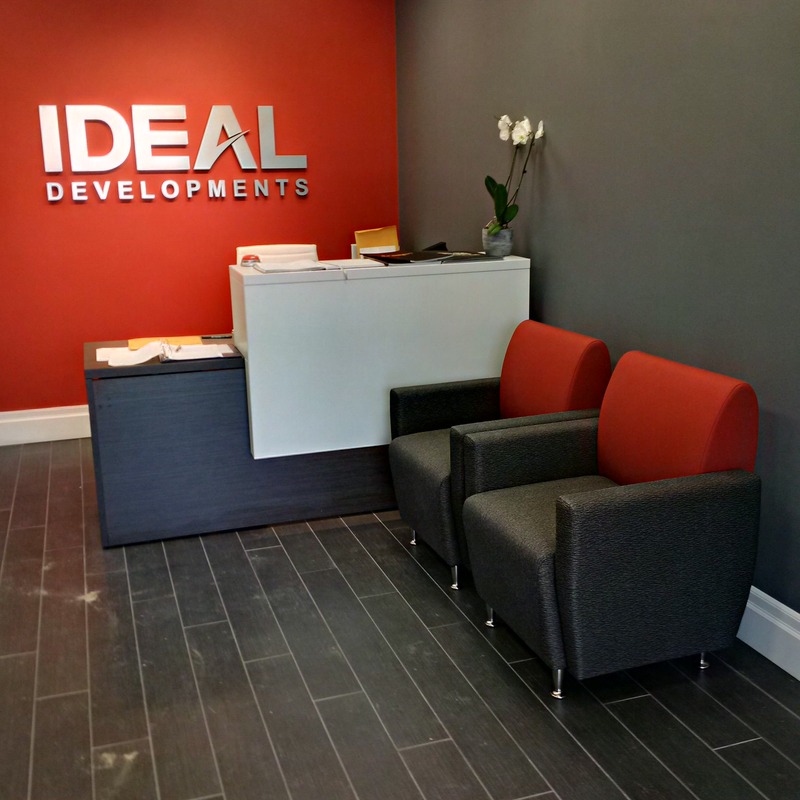 It is probably the biggest draw in terms of information that we give to your potential customers. We have found that by using some nice laminates in a very simple design, you can achieve a high end reception unit for a very reasonable cost. Take for example the two very basis reception units shown below. By adding a front drop down counter in white,the entire unit looks expensive, updated and modern.